Layer 2 Direct Connect | Fact Sheet | Faction Inc. 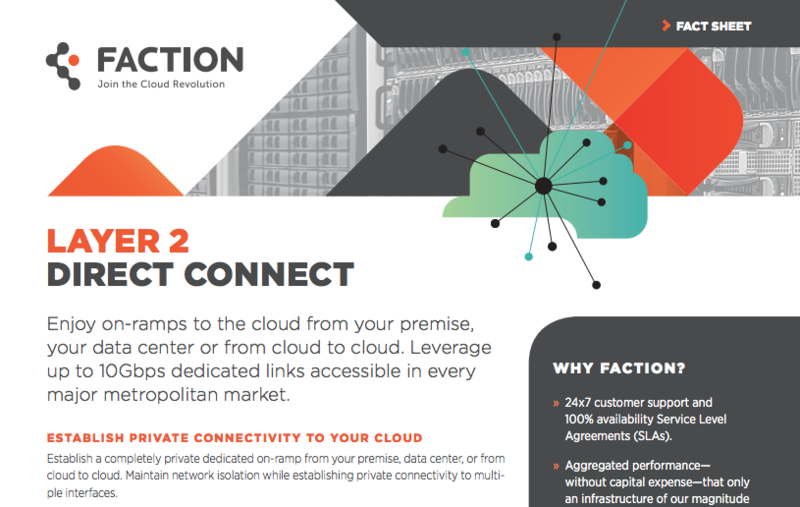 Enjoy on-ramps to the cloud from your premise, your data center or from cloud to cloud. Leverage up to 10Gbps dedicated links accessible in every major metropolitan market.